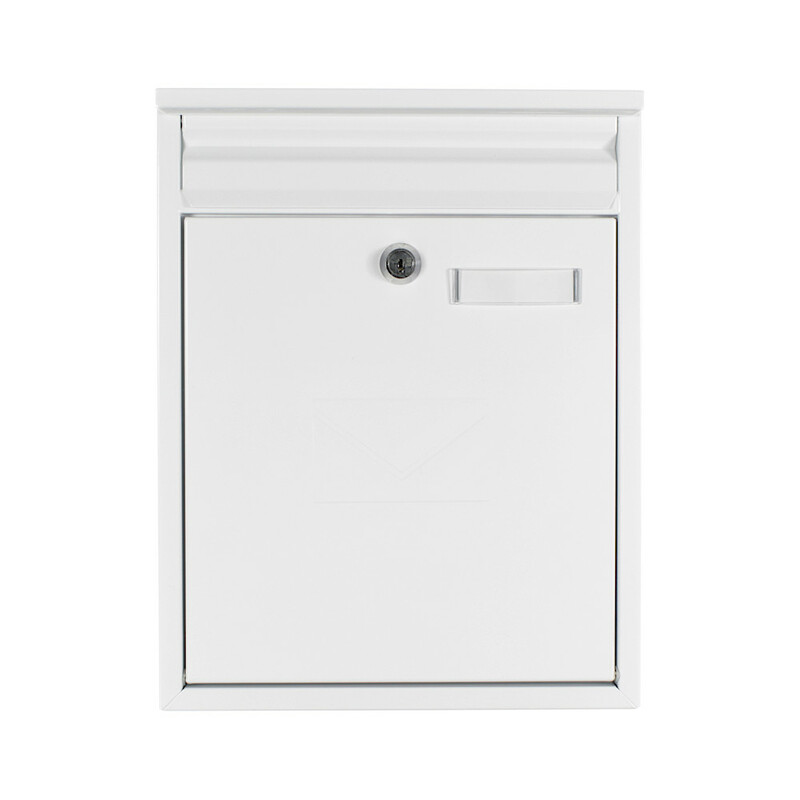 The White Rottner Mailbox Como has it all!Its double-sided insertion also allows it to be inserted from the rear.The door of the letterbox, formed of powder-coated steel, decorates an embossed envelope, thereby loosening the simple look.To protect your mail from dirt and moisture, the flap on the front has a small drip nose.The subtle design also allows several letterboxes from this series to be mounted next to each other and thus combined into a mailbox system. The White Rottner Mailbox Como is a duo-mailbox made from powder-coated steel sheet. The fixings required for perfect assembly and the drilling instructions are included in the delivery. Made from high grade steel finished with powder coated paint. Several mailboxes can be combined next to each other. The name badge allows you to easily insert your own name badge into the space provided for it and it is perfectly protected against moisture. Drop-off Service within the given period. By or .